This MIT Sloan Management Review explores the gap between an organization’s capacity to produce analytical results and its ability to apply them effectively to business issues. The research highlights how managers can become more comfortable making decisions based on complex analytical insights that they do not yet fully understand. 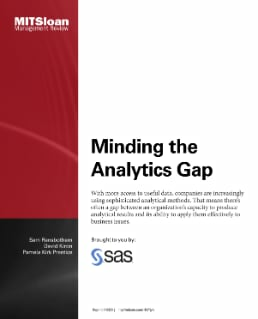 It also explores the difficulty this complexity poses for analytical innovators, who must continue to elicit business value from analytics in order to maintain competitive advantage.